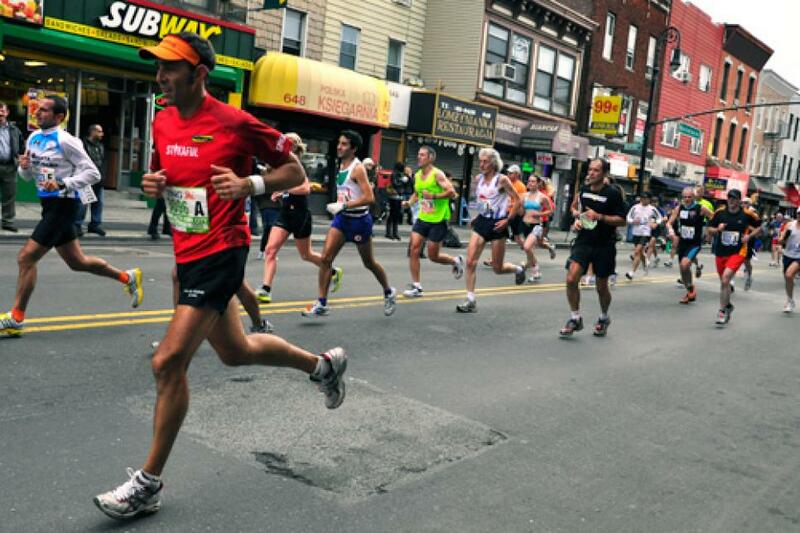 The New York City Marathon is one of the world's great road races, drawing more than 35,000 participants to a challenging course that winds through all 5 boroughs. 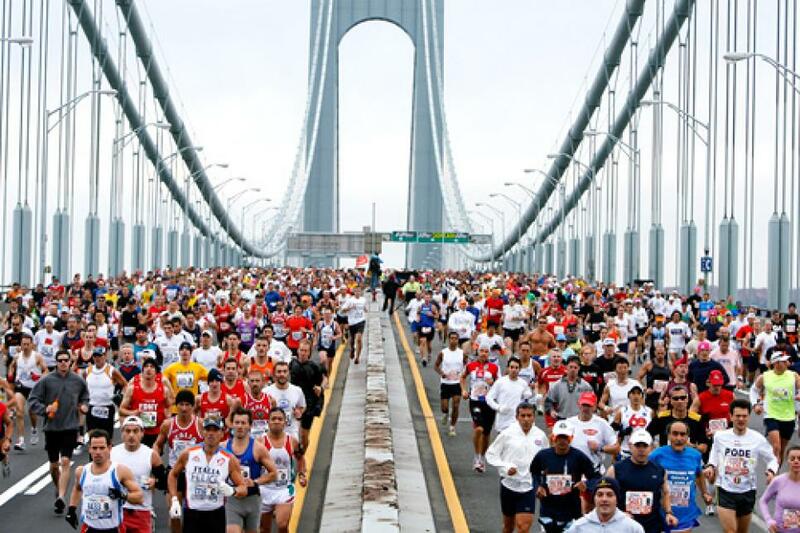 Runners cross from Staten Island into Brooklyn over the Verrazano-Narrows Bridge after the start of the New York Marathon. 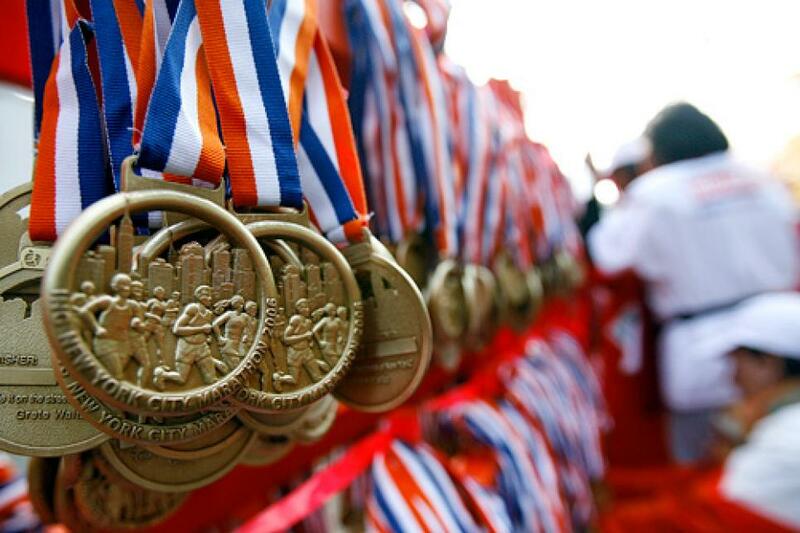 Medals are prepared in New York's Central Park near the finish line of the 2006 New York City Marathon. 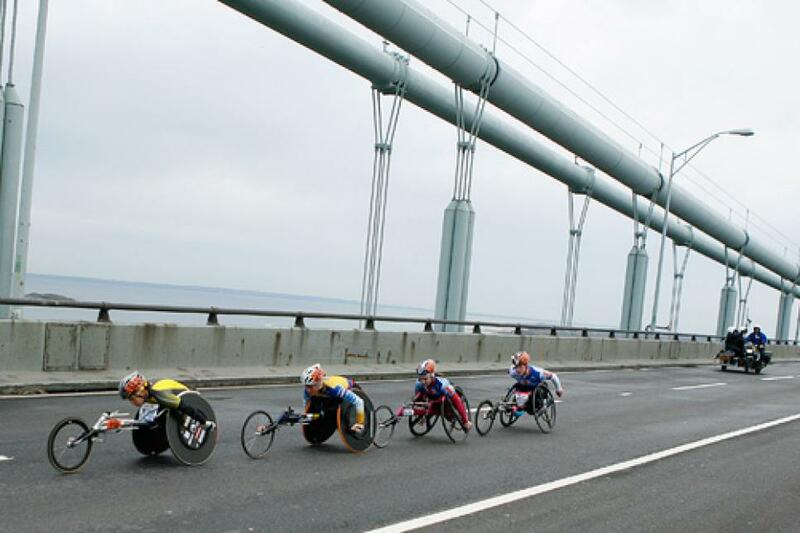 Wheelchair racers cross the Verrazano-Narrows Bridge after the start of the New York Marathon. 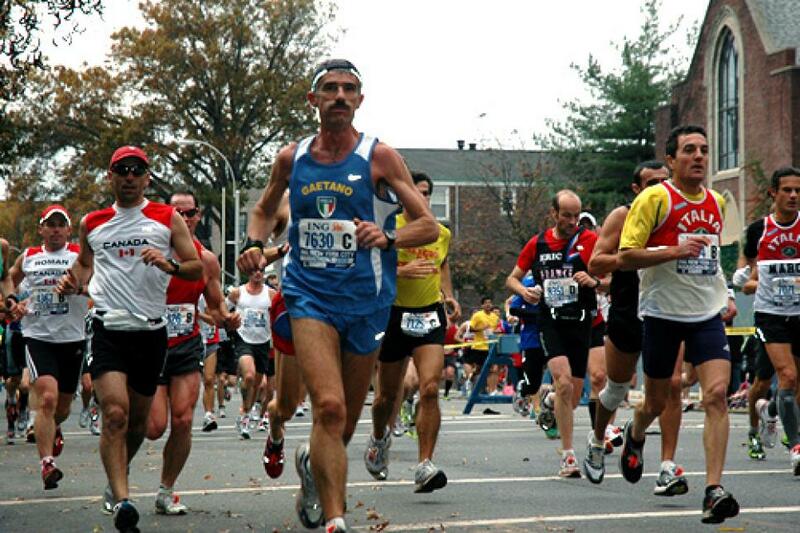 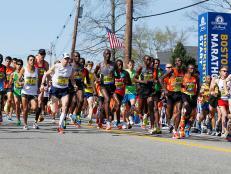 Runners on the course along 4th Avenue in Bay Ridge, Brooklyn, near the 3-mile mark. 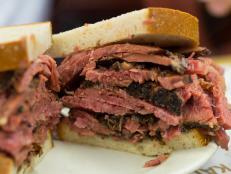 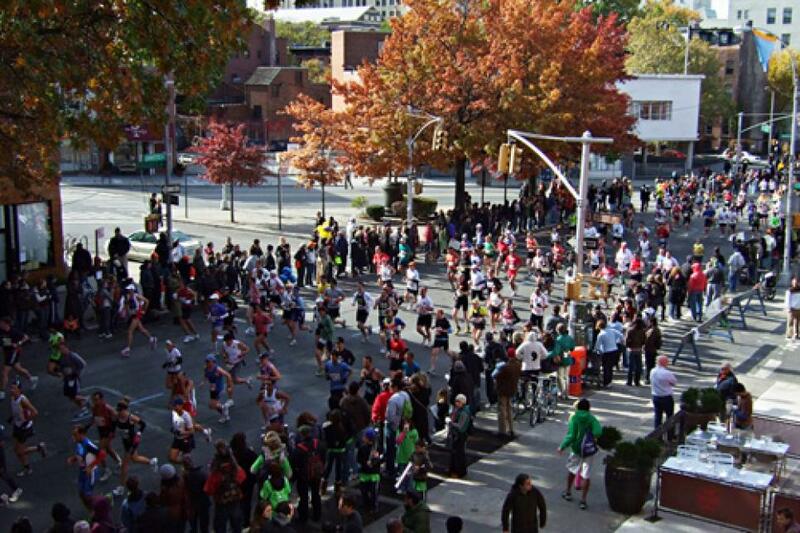 An overhead view of marathon participants, Boerum Hill, Brooklyn. 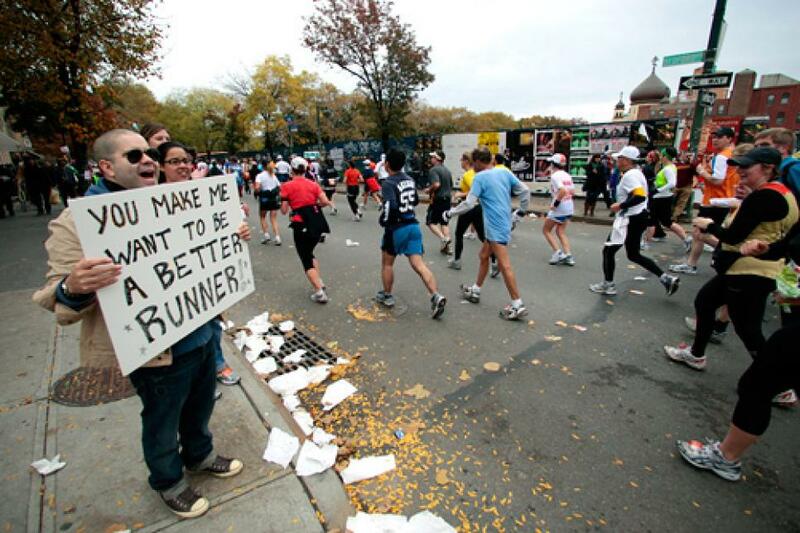 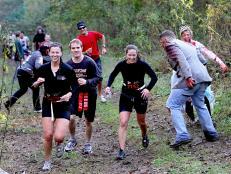 A bystander cheers on runners by McCarren Park in Williamsburg, Brooklyn. 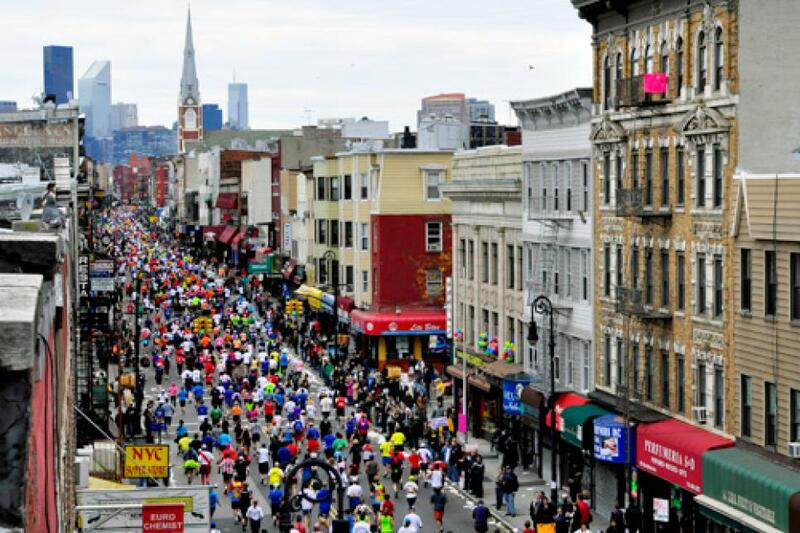 A mass of runners on Manhattan Street in Greenpoint, Brooklyn, heading for Queens. 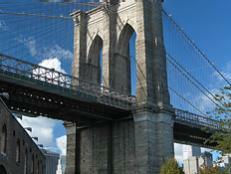 These runners have just passed the mid-way point of the marathon and are about to cross the Pulaski Bridge into Queens. 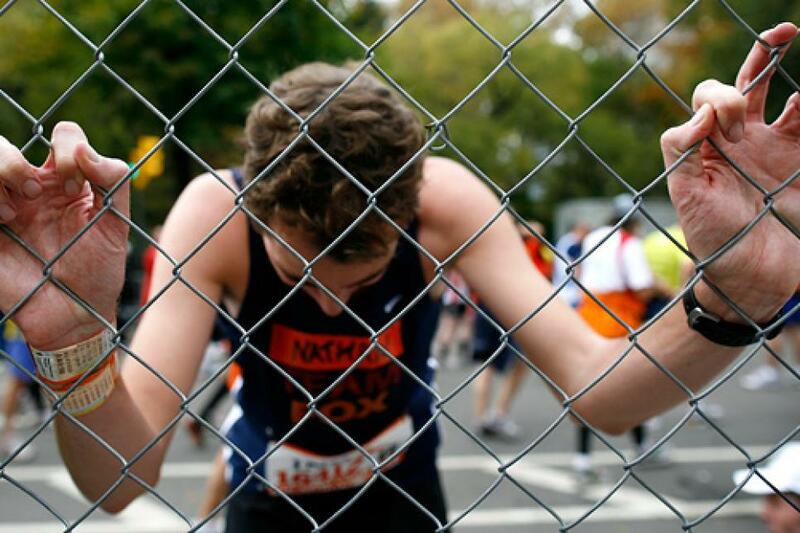 A runner tries to catch his breath after finishing the marathon. 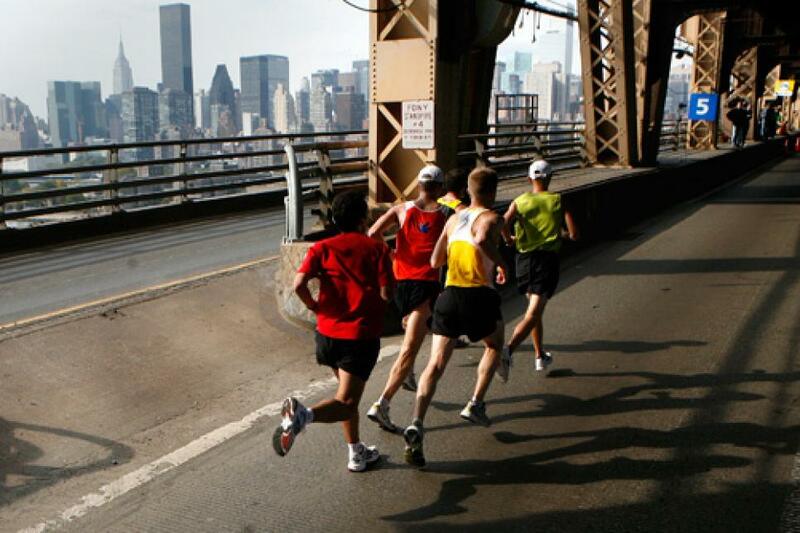 Runners cross the Queensboro Bridge during the New York City Marathon. 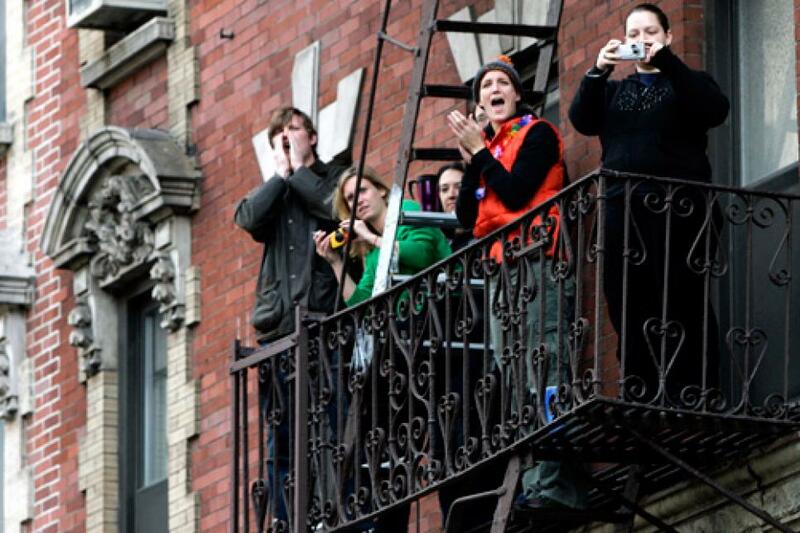 Spectators cheer on runners in Manhattan during the New York City Marathon. 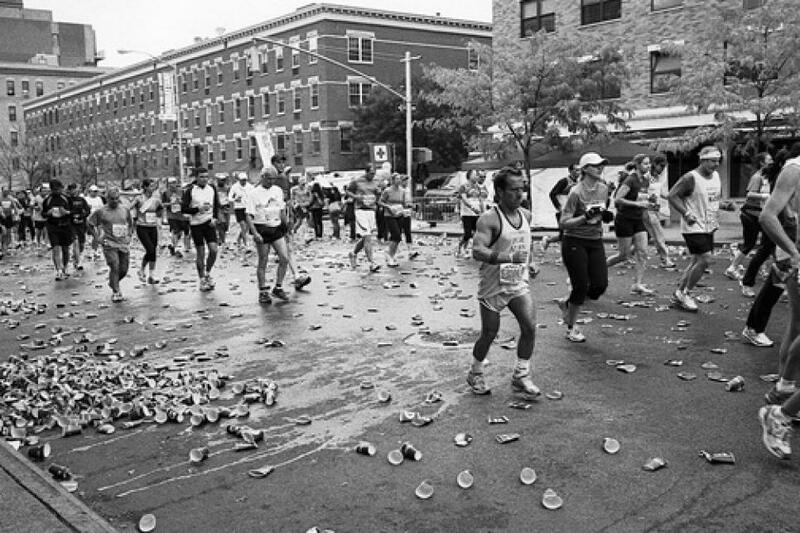 Runners pass by discarded water cups at the 20-mile mark in Harlem. 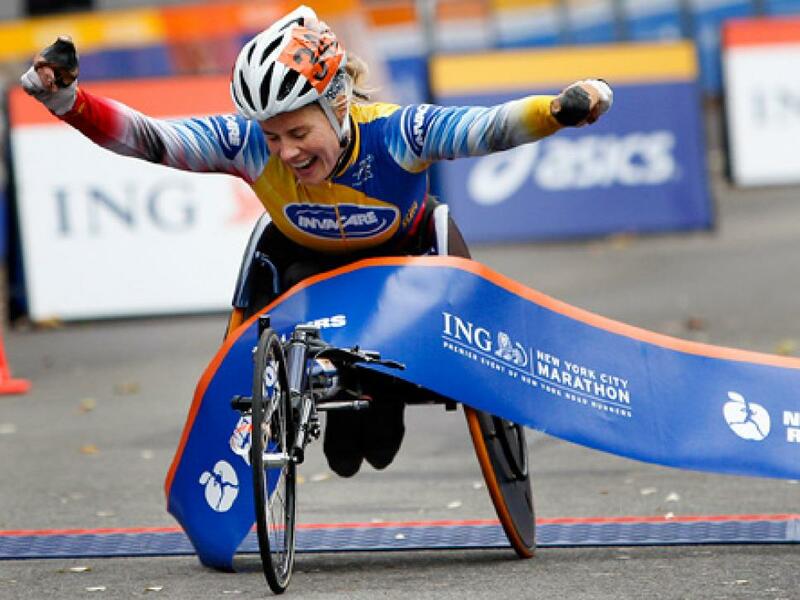 Edith Hunkeler of Switzerland pumps her fist after winning the Women's Wheelchair division in the 2009 Marathon.